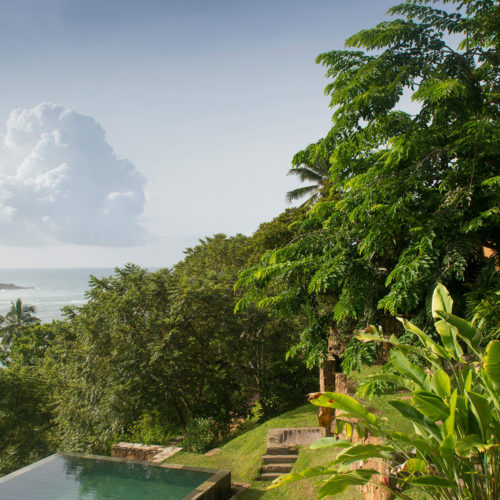 Cape Weligama is the latest luxury beach resort to open on the south coast of Sri Lanka. 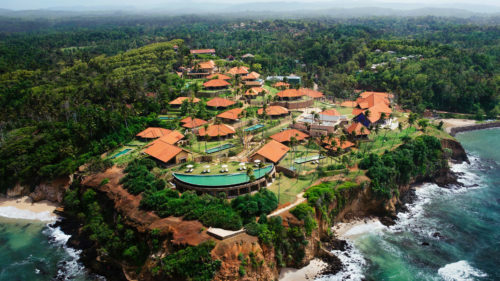 With its unique setting high up on a cliff top, the hotel provides unrivaled 270-degree breathtaking panoramas, of the azure Indian Ocean. 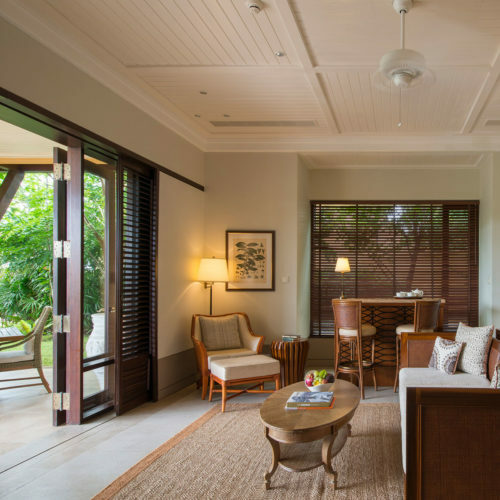 The hotel has an intimate village style design, made up of a collection of 40 individual villas and suites. 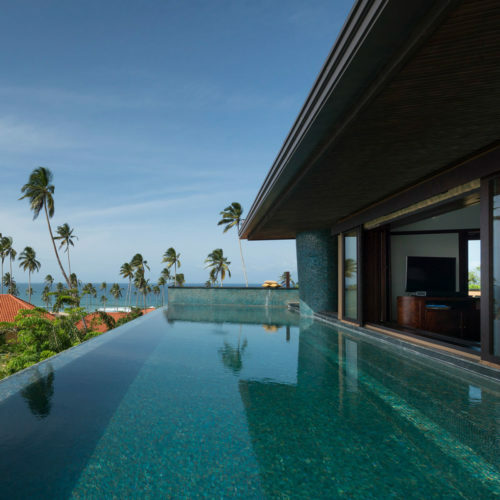 Beneath the traditional terracotta tiled rooftops the contemporary interiors are light and airy and each little cluster of villas share a 15m-infinity pool. 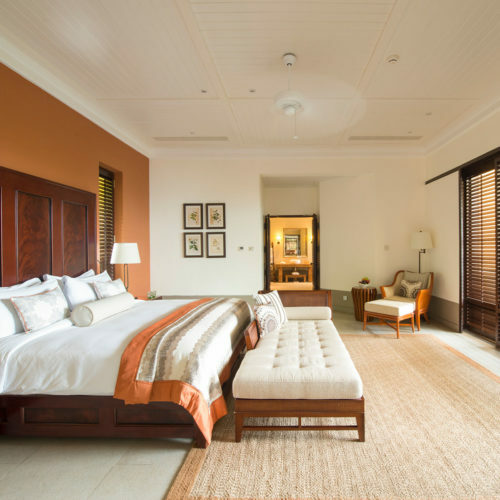 Creating an innovative spa experience the hotel has ensured that each suite and villa has a dedicated spa facility whereby the therapists deliver all treatments in room, ensuring total relaxation. The resort offers three main dining venues as well as encouraging private dining options at no extra cost. 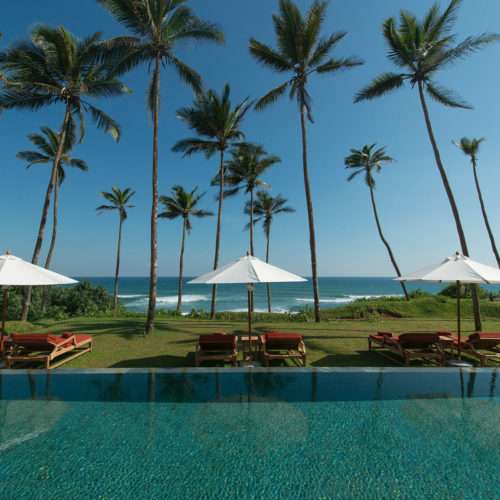 The exceptional personal service, infinity pool, luxury environment and innovative dining options make Cape Weligama a destination in itself. 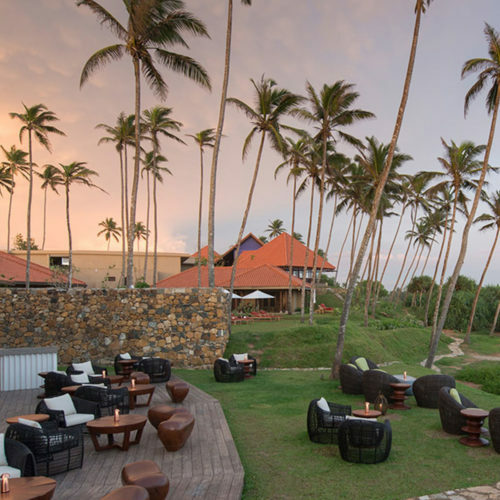 Set close to the bay of Weligama, it is easy to experience the simple joys of local life from the animated fishing catamarans, iconic stilt fishermen, jewel-colored tuk-tuks and energetic surfers.